For my summer project in Temple’s Digital Scholarship Center, I wanted to use textual analysis to learn more about Victorian detective fiction. Scholarship has only touched on a small percentage of Victorian detective authors–Sir Arthur Conan Doyle of Sherlock Holmes fame, Wilkie Collins’s sensation novels, and a handful of others. Yet there were hundreds of short stories and novels from the time period which are increasingly digitized and freely available online. 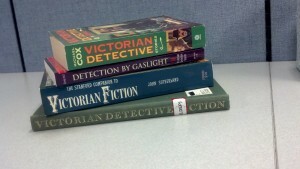 Since my dissertation research is on the genre of detective fiction, I’m hoping that computer-assisted textual analysis will help me get a fuller sense of the genre. My first big task is to look through this catalogue, and some other books I’ve got on hand, and try to track down as many of these texts as I can. 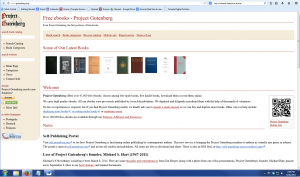 A lot of digital textual analysis projects require clean, plain-text versions of the book, so my first stop is Project Gutenberg. Gutenberg texts aren’t perfect, but they were all corrected by hand, so they’re among the cleanest copies out there for digital projects. 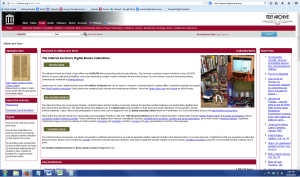 Other good sources for “clean” digital books include Eighteenth-Century Collections Online, Women Writer’s Project, and JSTOR Data for Research. However, Gutenberg has a comparatively small collection of 45,000 books, and they only have around 13% of the books I look for. So if I can’t find a book, I search for it in the Internet Archive, an open library of about 6 million texts. I find about 18% of what I searched for in the Internet Archive. If I still can’t find a book, then I move on to sites that only have PDFs, like the HathiTrust and Google Books. These sites have the most texts to work with, but they’ll be more time-consuming to process, since in most cases I’ll need to run them through OCR software like Adobe Acrobat Pro or ABBYY FineReader to get them into the text format I need. I find about 9% of what I search for here that I can’t get in any other form. But wait, you’re saying, you’ve only found about 40% of what you looked for! 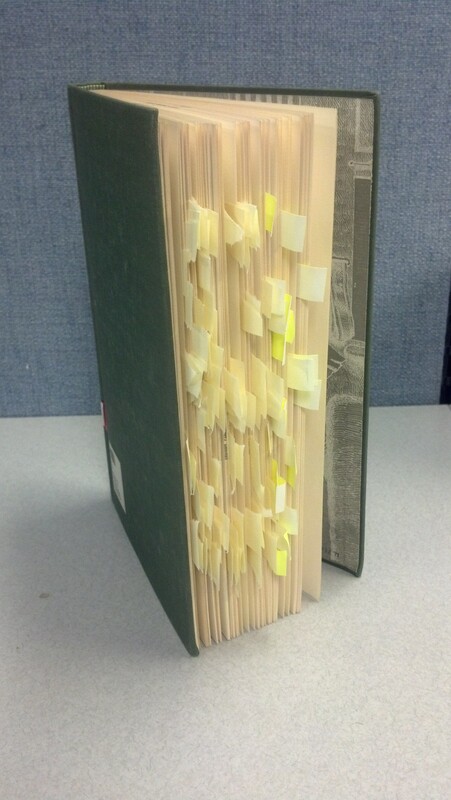 And the rest, all of those texts which are still marked with yellow sticky-tabs? Some of these books have never been digitized, some might be available on other databases I haven’t tried yet, and some I just don’t have access to. For now, I’ll keep searching.